It’s rhubarb season. So Nancy Lee cranked out a crisp recently using rhubarb from a big plant we’ve been tending for several years. It was transplanted from a sweet little garden next to my parents cottage on Lake Sallie in West Central Minnesota about 15 years ago. The plant was moved around a couple of times before I sunk it into my herb garden that’s got some of the richest soil I’ve ever tilled. It’s healthy, huge and beautiful. Early June is the best time of the season for rhubarb, and with all the rain we’ve had, it’s perfect! There are countless ways to prepare a really good rhubarb crisp and the best one will probably be the one your grandparents or parents made when you were a kid. Explore, be adventurous, get creative with the ingredients, and adjust the measurements to suit your taste. 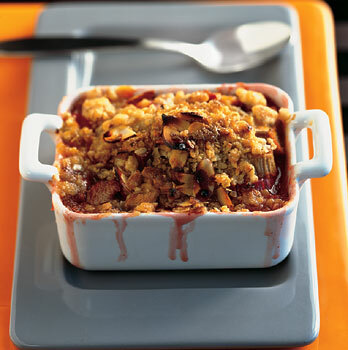 Cut the rhubarb and fill a baking dish big enough to accommodate the rhubarb and the topping you’re going to put on it. Sprinkle a couple Tablespoons of white sugar over the rhubarb. Meanwhile, in a mixing bowl, combine the oatmeal, the brown sugar, the cinnamon and/or nutmeg if you’re using those two spices, and the flour. Then cube the butter by cutting the stick of butter in half, lengthwise. Stack the two lengths and cut again, lengthwise. Then cut the other way every quarter inch making little square pieces of butter. Add to the oatmeal, brown sugar mixture and combine well. Spread out over the rhubarb in the baking dish. 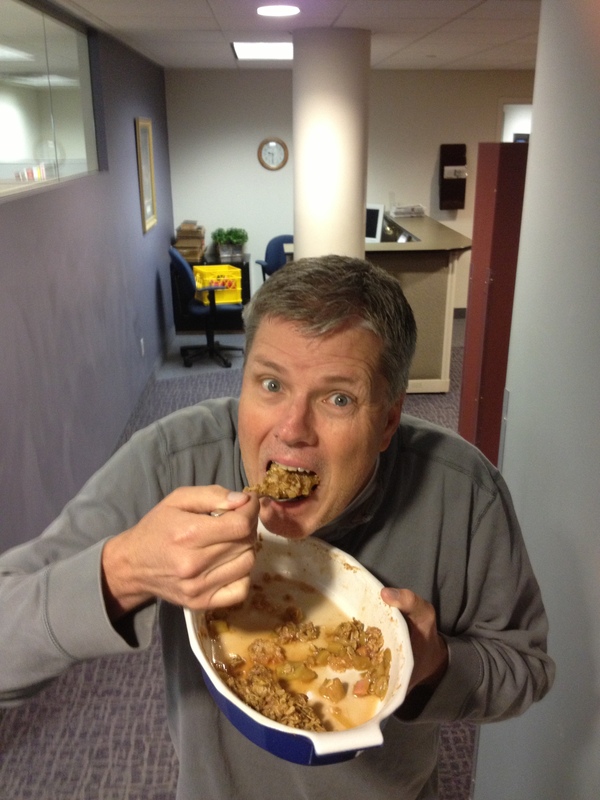 Subscribe to comments with RSS	or TrackBack to 'Paul’s Best Rhubarb Crisp'.